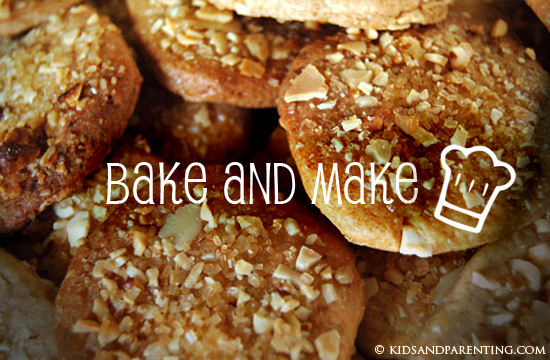 Baking and cooking classes can be enriching for kids. The kitchen is where children can learn about measurement, cause and effect, follow instruction while improving on their motor skills. It is also a valuable life skill. While this is a great activity to try out at home, it’s always good to let the kids learn from the professionals. Here are some places in Singapore with baking and cooking classes for kids. What: Want to Make pizza at Pizza Hut? Kids create pizzas of their own, while learning the art of Pizza-making from the resident Pizza chefs at various outlets at just $25 per kid. Where: Various Pizza Hut out. There are also camps during Singapore and International School’s holiday where the children can cook up a storm! What: Funsiamo let you bake from a menu of your choice together with friends. What: Spurbox combines story telling with baking and handicraft in a 90 min class. Choices are plenty as classes include baking stuff like Choco Lava Cake and Koinobori Swissroll. A class typically cost $40 with 1 accompanying adult is allowed per child. What: CulinaryOn organize master classes for kids that covers dishes like Pizza Сapricciosa and Hot Waffles with Strawberries at $88 per ticket. What: Expat Kitchen offer coking classes at $50* for a sessions for kids between 5-8 years old. $55* for a sessions for kids between 9-13 years old. Children to learn about handling food, eating healthily and how to prepare great kids’ recipes. What: Creative Culinaire offers a variety of cooking classes for adults and kids. There are JUNIOR “I can Cook!” and “I can Bake!” and single session programs designed for children aged 5-7 at $50 for each 2hours session. Where: Creative Culinaire is located at 17 Eng Hoon Street, #01-03 Eng Hoon Mansions. What: Genius R US offers baking worksohps for kids between 5-12 years old. Kids get to learn concepts of measurement and improve their gross motor skills and improve their confidence. Stuff kids get to cook include items such as sushi, decorate cakes, cupcakes and cookies. Where:Genius R Us is located at 75B Tanjong Pagar Road and City Square Mall. What: ToTT sells bake wares and supplies but they also have a Bistro and a Bake&Go studio where you can buy a tin of dough (About $12.80/cookie dough tin) and toppings and start baking cookies. There is also parent and child baking class at $98 for 1parent + 1child for 2 hours. *Note: Cost and lessons information are indicative only. Please refer to provider’s website for updated information. What: $65* for a 2 hour Mini Chef classes are available on some Saturdays. Parents get to cook up fun and easy-to-make recipes with their kids. Each classes usually featured two featured dishes. Some examples of dishes covered include Cheese Calzone, Butterfly Banana Cupcakes, Cheesy Potato Sticks, Baked Apple & Pear Crumble. What: 5 or 10 week classes at 90 minutes per class for Kids 4-8 years old and 9-12 years old. the 4-8 years old get to measure and mix ingredients, use a variety of kitchen tools, follow recipes, learn the basics of etiquette, nutrition, food safety. the 9-12 years old get to master cooking techniques, learn how to create their own recipes, the basics of etiquette, nutrition, knife skills and food safety. What: Baking and cooking classes for kids, adults and kids and parents. Choose what the kids will be baking from their on line schedule. A $48 – 75* class includes creating one dish and last for about one and a half hour. Example of dishes include Rainbow cupcakes, Bunny Pop and Hedgehog cakes. Where: So EZ Cooking Studio is located at 1 Kim Seng Promenade #B1-16/17, Great World City. EZ Cooking Playground is located at 101 Thomson Road, #B1-02, United Square. Know somewhere with great cooking class for kids? Tell us about it! Next Story » How important is visual tracking and scanning? I didn’t learn to cook until I got married and suddenly had to cook or starve. My poor husband suffered through some less than stellar meals. What a fun idea to create a cooking school for kids. If they have a positive experience when they’re young, they’ll be inspired cooks by the time they need to take care of themselves. Thanks for sharing your cooking studio with us, Giulio. We have edit your comment on the details of your studio as we have included it in the article above and in our free basic directory listing. I think So EZ Cooking Studio is no longer around. They are not where their website say they are and nobody is picking up the phone. Hi! Planning for send my kids for baking class, may I know where the course will be conducted. Thanks. We love Bakezine Kid’s but it had closed down.. 🙁 Its such a pity as we had enjoyed the workshop there. Thanks for such a comprehensive list! Certainly save me some time looking for places with classes. Hello Twinker, Check out our new cooking studio: culinaryon.sg 🙂 we offer classes for Kids and Adults.